*Based on independent lab tests using ISO 9614 to measure sound power levels vs. Honda EU2000i. Read the full report. 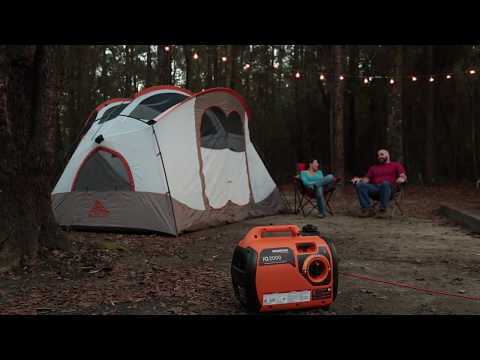 Learn about the features, benefits, and many uses of the Generac iQ2000 portable inverter generator. Generator status indicators alert you to low fuel, low oil, overload or overheating. Simply brilliant. Connecting two iQ2000 generators gives you twice the power when you need it. One simple-to-use dial integrates start, run and stop functions. Select Turbo, Standard or Economy mode — whichever best fits your needs. With the optional Parallel Kit, you can connect two iQ2000 inverter generators together for twice the power when needed. How you use it is up to you. Rated 5 out of 5 by jackoftrades56 from Great Product!! 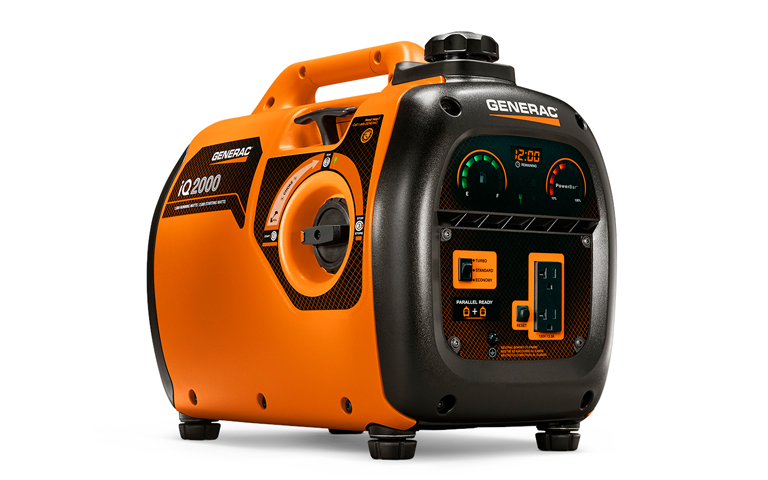 I have used this generator for the job site and works great!! Plus, the noise level is extremely low. The negative side is the rubber padding or feet came off and lost the screw. No problem. Rated 1 out of 5 by Adam from Worst Inverter generator ever A total waste of money. Started generator every 3 months for first year. Let it run. All good. Needed to use it and would not work at all. Could not generate any power. Took it for service (of course out of warranty)come to find out the electronic board that processes that power was shot. received an estimate of $400 to repair my $700 generator that was like new. Generac rep said they had issues, but unfortunately my unit was out of warranty, To Bad. Wont be ever be buying a Generac Inverter Generator. When I get the money, I will be looking at Honda. Total waste of $700+, plus not having a unit when my power went out. Rated 5 out of 5 by FulltimeRVers from Very quiet, great features! We got this inverter to run the TV and fireplace. Works great, awesome features and so far seems very reliable. I researched for weeks prior to purchasing and not disappointed. Rated 5 out of 5 by Generacman from Totally Quiet! This generator is great! I really love how quiet it is and the fact that it can power our camper A/C unit. Rated 5 out of 5 by Namax4 from This product will amaze you! I bought 2 of these generators because I live off grid. I expected to buy 2 more in a year because I use one 24 hours a day to run my home (2 bedroom home) on... I've been running these two alternately for 3 years now!!! They are awesome! I'm 1.6 gals of gas, will run my home for 13 hours!!! And are amazingly quiet!!! iQ2000 is rated 4.7 out of 5 by 118.